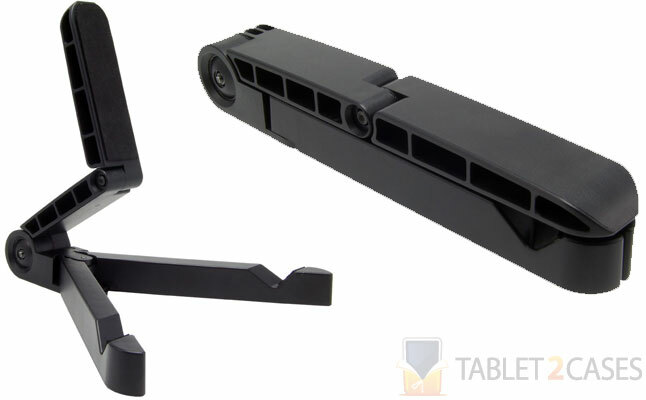 Arkon presented the IPM-TAB1 – a one-of-a-kind tablet stand case , which can work with any Apple tablet including the iPad, iPad 2, and the new iPad. The best thing about the new iPad case is its portability – it can be folded down several times and will fit right in inside a backpack or a laptop bag for perfect mobility. The Apple iPad 2 case is extremely lightweight and will serve a perfect companion for any traveler on a plane, train, bus, and so on. The case offers several convenient viewing angles including a comfortable typing position and perfect multimedia viewing angle. 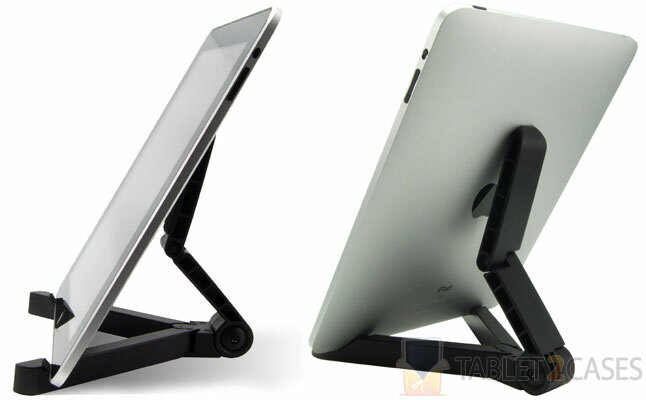 The Apple iPad case comes with non-skid cushioned pads, which provide a stable, non-slip hold on virtually any surface. The case can also accommodate the tablet with most third-party cases attached to it. The new case is the best travel accessory the iPad can wish for.